Ross McCormack is a 29 year old year old Scottish attacker who has played a huge role for Fulham ever since he joined the English club back in July of 2014. McCormack was signed for a fee of £11,000,000 as he penned a 4 year long contract but the Scottish player has extended his contract with Fulham which is excellent news for the English League Championship club as McCormack is one of the more influential players in the entire team of Slaviša Jokanović. Fulham is currently pitted in the bottom spots of the English League Championship but even though they are struggling trying to escape this zone, McCormack was still more than happy to extend his stay with the English club. The 29 year old Scottish player was heavily linked with a move to Middlesbrough but Fulham later announced that they weren’t interested in offloading their top goal-scorer and Fulham instead opted to renew the deal of McCormack at least until 2020. McCormack was recently even appointed as the vice-captain of Fulham as he will be playing a much more important role in Craven Cottage. After it was confirmed that McCormack was not going to be leaving Fulham anytime soon, Middlesbrough had to search around for another attacker and they managed to sign Jordan Rhodes from Blackburn Rovers instead. 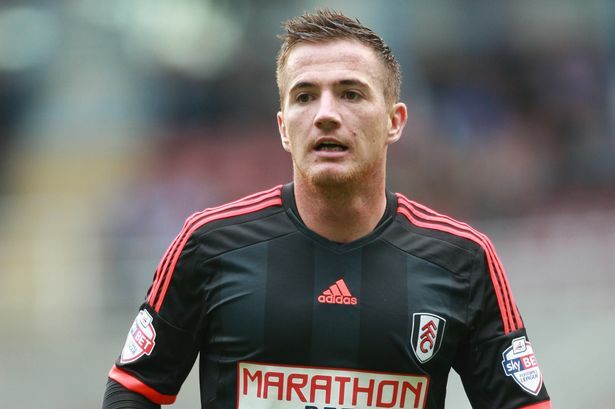 After having decided to prolong his stay with Fulham, Ross McCormack went on saying that one of his main objectives with the English League Championship club is to try and get into the Premier League as he said: "I think the past 18 months have not been acceptable for a club like Fulham, not to even make any sort of challenge." "We can't be happy with just playing in the Championship, being invited to horse racing meetings by StanJames, and pretending to live the dream. We need to be in the Premier League. If I'm not playing in the Premier League then I want to be in a position where you're fighting to get there." "Given the chats I've had with the owner, the manager and the lads in the dressing room everyone is together as one to try and do that. The most important thing is the club staying in the division, our quality is starting to show through now and on our day we can beat anyone." Unfortunately for McCormark it doesn’t seem like Fulham will be competing in the Premier League in this season and their main task right now is to survive in their current league.